Sandra has always had a passion for event planning and coordination. Born and raised in New York City, she spent many years at the Jacob Javit’s Convention Center installing local and international trade shows, coordinating small and large corporate events, from logistics, menus, decor, entertainment and more. Although loving the excitement and challenge of the job, Sandra relocated to the Hudson Valley, returning to school and earning a B. A. in International Public Relations and Cultural Diversity. After a few years of “traditional office jobs” Sandra decided to return to her true passion and joined Hudson Valley Ceremonies as a Wedding Planner/Coordinator. Sandra is often described as having a calm and dedicated nature to her coordination. When the party is over, Sandra is not only a Wedding Coordinator, she is also our Honeymoon Travel Specialist. When the event is done and it is time to explore an exciting new destination, or just lounge on a tropical beach, as a complimentary service from Hudson Valley Ceremonies, Sandra will help you coordinate your perfect honeymoon. From start to finish, she will be with you every step of the way. We are so lucky to have found Hudson Valley Ceremonies to help us put together our dream wedding. The amazing and talented wedding planner — Sandra O’Connell — was a fantastic partner-in-crime. She found our beautiful wedding venue at Arrow Park (Monroe, NY) and helped us stay sane and coordinated throughout the wedding planning process and during our special day. She made everything run smoothly and gave us a piece of mind that everything was going to be ok. She was very responsive and resourceful with our laundry list of needs. She is a coordinator/planner/organizer extraordinaire! Thank you, Sandra, for making our wedding day special and stress-free. Sandra is amazing. Not only is she the sweetest and most organized person, but she was accommodating and understanding from the start. She really knows how to put events and weddings together and has a ton of experience! At the same time, she wasn’t pushy at all – she encouraged our day to be individual and celebrated all the weirdness and individuality that went along with it. We hired Sandra to do day of coordination, but we found out pretty quickly that day off coordination is more like month of coordination. A month before the wedding, we met with Sandra over brunch to tell her where we were at with everything, and she worked very hard with our other vendors to make sure that everything went off without a hitch. With the craziness of the day and many DIY pieces coming together, Sandra was sure to solve any little things that could have gotten lost in the shuffle. Sandra made us feel totally comfortable and was such a relief from the moment we spoke to her. She stayed calm all day, made sure everyone was happy and having a good time, kept everything running enough on schedule, and had such good energy while doing it all. We definitely recommend Sandra if you want to work with someone who is organized, knowledgeable, friendly, accommodating, flexible, and professional! It was so helpful to have Sandra from Hudson Valley Ceremonies with us on the day of our wedding, but also in the months and weeks leading up to it. Sandra thought of the details, both big and small, that we didn’t even realize we needed to consider. She was always available to answer questions or offer her advice. Our day had a lot of moving parts, and Sandra helped to facilitate so that everything ran smoothly. She worked with all of our vendors to ensure we had a stress-free timeline and that our vision came to life. In turn, we were able to focus on our wedding without sweating the small stuff. 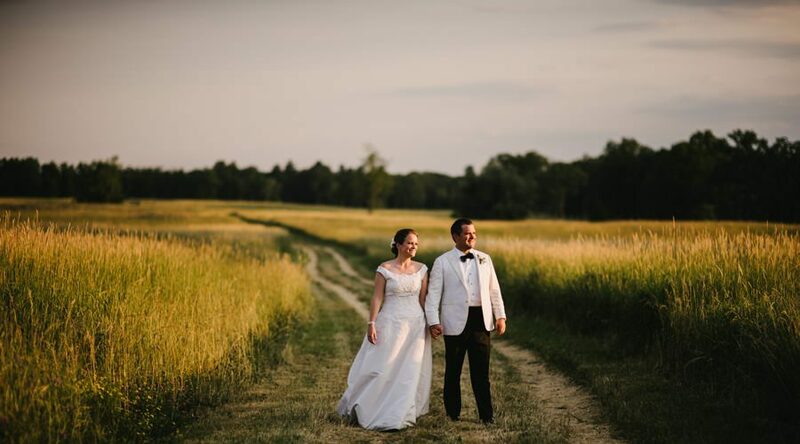 Our wedding day was perfect, and we are so thankful for all of our vendors and Hudson Valley Ceremonies for their personal, hands-on support.